This charming 1,224 sq. 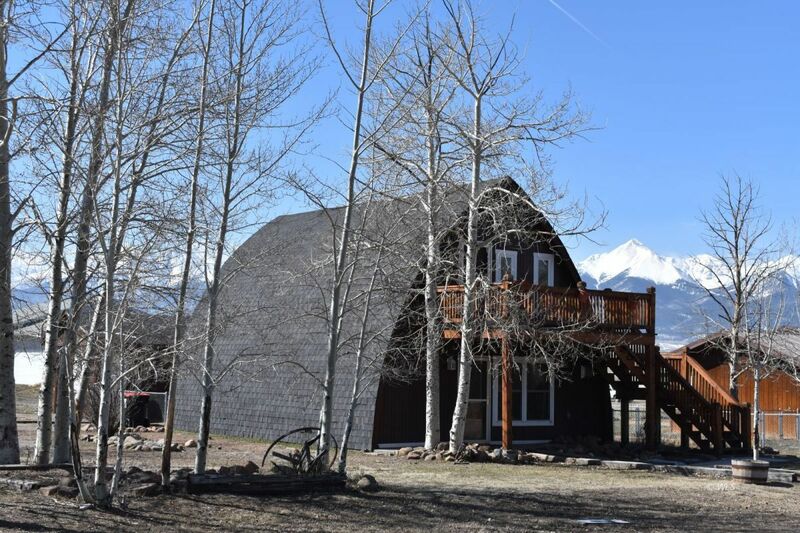 ft. home is located on a large corner lot with tremendous Sangre de Cristo Mountain views in the town of Silver Cliff. The yard is partially fenced with garden area already in place that is situated to receive ample sunlight for growing all your home grown produce. At the back of the house is a covered privacy porch and an over-sized one car garage, deep enough for you to park the car and have room for a very nice sized workshop. Walking into the home you will find a beautifully remodeled kitchen with plenty of room to store all your kitchen items. Just off the kitchen is a combo bath/laundry room with a huge, over-sized walk in shower, separate bath tub, double vanity / sinks, washer and dryer and plenty of room to move around. The spacious living and dining areas are warm and inviting with a gas stove. Upstairs you'll find two comfortable bedrooms one with a sleeping loft and separate cozy sleeping nook. The second bedroom also has a loft for sleeping or extra storage. Each bedroom has its own deck for relaxing and taking in all the mountain views. A cozy and comfortable mountain home with all the conveniences of living in town.